To use this cable, your display must be a high definition display. The cable doesn't contain the chip to convert digital signals to analog signals, it only work with devices that can already convert digital signals to analog signals. 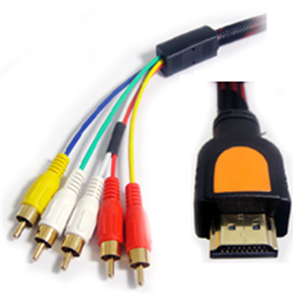 HDMI to component video, Audio AV Cable. High speed transfer signal. High-definition sound and clear image. Competent with T.V, DVD, Computers etc.